We collect the following data about users: (1) information that you voluntarily submit to us (“User-Supplied Information”); (2) technical data automatically collected from all visitors to anthea-tinos.gr Website (described below under “Passive Data Collection”); and (3) information we collect from third party sources. User-Supplied Information: We may collect user-supplied information when you choose to provide us with your Personal information via the anthea-tinos.gr Website, including when you send us an email asking a question. We keep contact form submissions for a maximum period of six months. The information submitted through them is used for customer service purposes only, and is not shared with third parties, for marketing purposes or other. We use personal information to establish and enhance our relationship with you. We may use personal information to operate, provide, improve, and maintain the Anthea Boutique Hotel & Spa Website; to prevent abusive and fraudulent use of the Anthea Boutique Hotel & Spa Website; to personalize and display content on the Anthea Boutique Hotel & Spa Website; where permitted by applicable law, to send you information, including via email, about our products and Services in which we believe you may be interested; to respond to your inquiries and for other customer service purposes; and for other administrative and internal business purposes. We may use your e-mail address, including any email address provided through the Anthea Boutique Hotel & Spa Website as set forth in the “Communications and Unsolicited Marketing Communications” section. On the Anthea Boutique Hotel & Spa Website, we may use passively collected data to: (a) remember your information so that you will not have to re-enter it during your visit or the next time you visit the Anthea Boutique Hotel & Spa Website; and (b) monitor aggregate website usage metrics such as total number of visitors and pages viewed. We may disclose personal information if we have a good-faith belief that doing so is required by a subpoena or other judicial or administrative order or otherwise required by law. Additionally, we may disclose personal information where we, in good faith, deem it appropriate or necessary to take precautions against liability; protect the rights, property, or safety of Anthea Boutique Hotel & Spa, any individual, or the general public; maintain and protect the security and integrity of our Services or infrastructure; protect ourselves and our Services from fraudulent, abusive, or unlawful uses; investigate and defend ourselves against third-party claims or allegations; or assist government enforcement agencies. 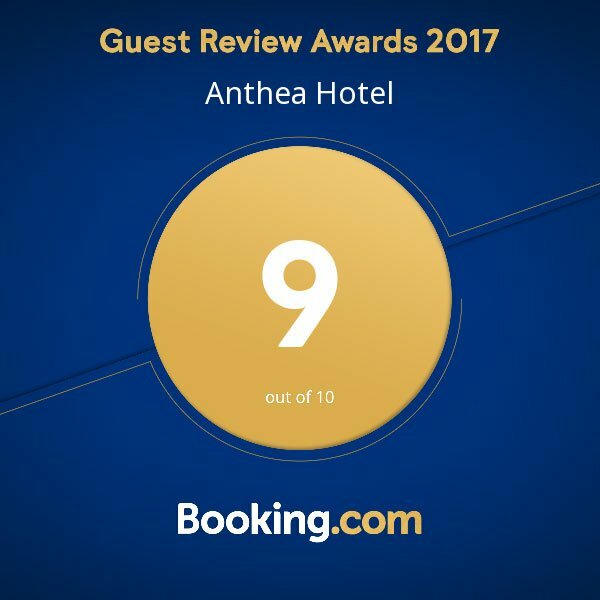 We may share aggregated information with Clients, prospective Clients, partners or the press in order to demonstrate usage of the Service, identify industry and advertising trends, and to generate publicity for Anthea Boutique Hotel & Spa. In addition you may decide not to opt–in, either when you first provide Anthea Boutique Hotel & Spa with any personal information, to receive marketing information from Anthea Boutique Hotel & Spa about products and Services (including our products and Services and those of third parties). See also Section “Communications and Unsolicited Marketing Communications”, for additional information regarding changing your preferences or opting out of receiving marketing information. If you opted in to receive communications from us, including through info@anthea-tinos.gr, we may send you administrative messages and updates regarding your account, updates regarding the Anthea Boutique Hotel & Spa Website, and, where permitted by applicable law, information regarding our offer, products and Services, including, without, limitation, through social media updates, by email and postal mail. If you no longer want to receive commercial email messages, you may indicate your preferences regarding commercial email messages by taking the steps described in such messages. Also, you may indicate your preferences regarding commercial email messages and postal mail messages by contacting us using the information in the “Contact Us” section below. We collect certain information provided to us through the Anthea Boutique Hotel & Spa Social Media pages. Anthea Boutique Hotel & Spa has no direct relationship with the social network End Users, and also do not decide how the Social Network use End User Data. Anthea Boutique Hotel & Spa does not use these End User Data, except as allowed by each Social Network platform. The End User’s interaction with these platforms are governed by the privacy statement of the company providing it. If you are a user of one of the social networks in which Anthea Boutique Hotel & Spa has an official page, and you want to edit or delete any information captured about you on that social network’s website, you should contact the social network directly. The Anthea Boutique Hotel & Spa Website is hosted in the European Union, and we may use service providers in the European Union and elsewhere to process personal information on our behalf. If you use the Anthea Boutique Hotel & Spa Website outside the European Union, please note that your personal data may be transferred to other jurisdictions where our affiliates and service providers are located. Some of these jurisdictions, including the United States, do not have equivalent data protection laws as the European Union and other jurisdictions. By using our Website, you are agreeing that your personal data may be transferred to the United States and other jurisdictions, as explained in this Section. As described in the “Disclosure of Collected Information” section above, we may transfer personal information from the E.U. to third parties. We contractually require third parties to whom we transfer personal information to provide the same level of protections as the Principles. Anthea Boutique Hotel & Spa remains responsible for the personal information we receive and transfer under Privacy Shield as it relates to our Services. European Union individuals who have questions or complaints about how we process their personal information may contact us at info@anthea-tinos.gr. We will work to resolve your issue and respond no later than 45 days of receipt. The security of your information is important to us, including, but not limited to, the personal information collected via the Anthea Boutique Hotel & Spa Website. We use reasonable security measures to protect against the loss, misuse, and alteration of Personal information under our control, both during the transmission and once we receive it. This includes, but is not limited to, the use of firewalls and encryption. Although we make good faith efforts to maintain the security of such personal information, no method of transmission over the Internet or method of electronic storage, is 100% secure and we cannot guarantee that it will remain free from unauthorized access, use, disclosure, or alteration. Further, while we work hard to ensure the integrity and security of our network and systems, we cannot guarantee that our security measures will prevent “hackers” or other unauthorized persons from illegally accessing or obtaining this information. If we learn of a security breach involving your personal information, we may attempt to notify you electronically so that you can take appropriate protective steps. By using the Anthea Boutique Hotel & Spa Website or providing personal information to us, you agree that we can communicate with you electronically regarding security, privacy, and administrative issues relating to your use of the Anthea Boutique Hotel & Spa Website. If a security systems breach occurs, we may post a notice on our homepage or elsewhere on the Anthea Boutique Hotel & Spa Website and may send an email to you at the email address you have provided to us. Depending on where you live, you may have a legal right to receive notice of a security breach, involving your personal information, in writing. This notice paragraph applies to users of the Anthea Boutique Hotel & Spa Website. Should there be a breach that affects End Users of Clients, the Client will be responsible for disseminating notice of such a breach to those End Users. In addition, we use Google Analytics to analyze our users’ use of the Anthea Boutique Hotel & Spa Website. Google Analytics provides us with aggregated data in order to help us make informed business decisions. Ultimately, Google, as a third party, controls information collected through Google Analytics and you should check and be comfortable with its privacy practices prior to using the Anthea Boutique Hotel & Spa Website. You may review information about Google’s privacy practices with respect to Google Analytics at https://support.google.com/analytics/answer/6004245. Like most web based services, Anthea Boutique Hotel & Spa may automatically receive and record information when you use the Anthea Boutique Hotel & Spa Website. We may use a variety of methods, including clear GIFs (also known as “web beacons”) and “cookies”, to collect this information. Cookies store information about your activities on a website or other platform. For example, cookies can store your session information for easy sign-in to a website or other platform you have previously visited. They enable us to make your use of the Anthea Boutique Hotel & Spa Website more enjoyable and to improve the functionality of the Service. On the Anthea Boutique Hotel & Spa Website, we may use passively-collected data to: (a) remember your information so that you will not have to re-enter it during your visit or the next time you visit the Anthea Boutique Hotel & Spa Website; (b) monitor your participation in various sections of the Anthea Boutique Hotel & Spa Website; (c) customize our service to you, including by providing you with recommendations; (c) monitor aggregate website usage metrics such as total number of visitors and pages viewed; and (d) administer, operate, and improve the Anthea Boutique Hotel & Spa Website and our other services and systems, and to provide services and content that are tailored to you. Whether a cookie is considered as a ‘first’ or ‘third party’ cookie refers to the domain placing the cookie. First-party cookies are those cookies set by a website that is being visited by the user at the time (e.g. cookies placed by anthea-tinos.gr). Third-party cookies are cookies that are set by a domain other than that of the website being visited by the user. If a user visits a website and another entity sets a cookie through that website this would be a third-party cookie. You can configure your Internet browser, by changing its options, to stop accepting cookies completely or to prompt you before accepting a cookie from the website you visit. 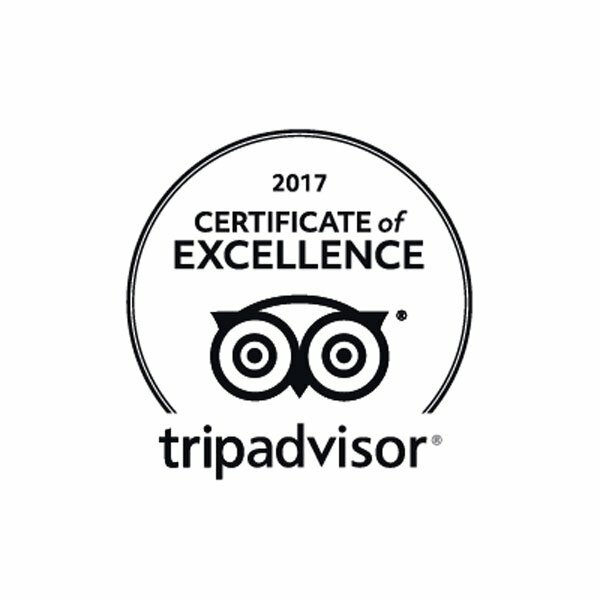 If you do not accept cookies, however, you may not be able to use all portions of the Anthea Boutique Hotel & Spa Website.